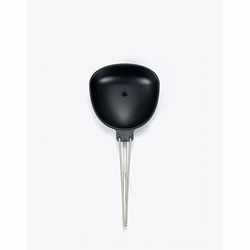 Snow Peak Folding Ladle. A remix on the traditional cooking ladle makes for an ultra-compact and lightweight hiking utensil. Made of Nylon 66 to protect your non-stick cookware from scratches. Hand wash with a soft detergent and let dry before storing.